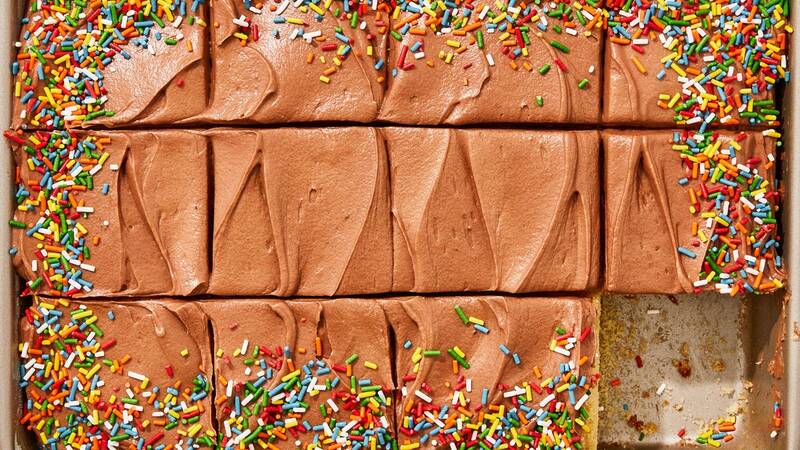 Meet your new favorite birthday cake. This easy sheet cake recipe is a little unconventional, but the tender, lighter-than-air result will make you a believer. That’s a lot of eggs! It looks delicious, though, and well worth a try.